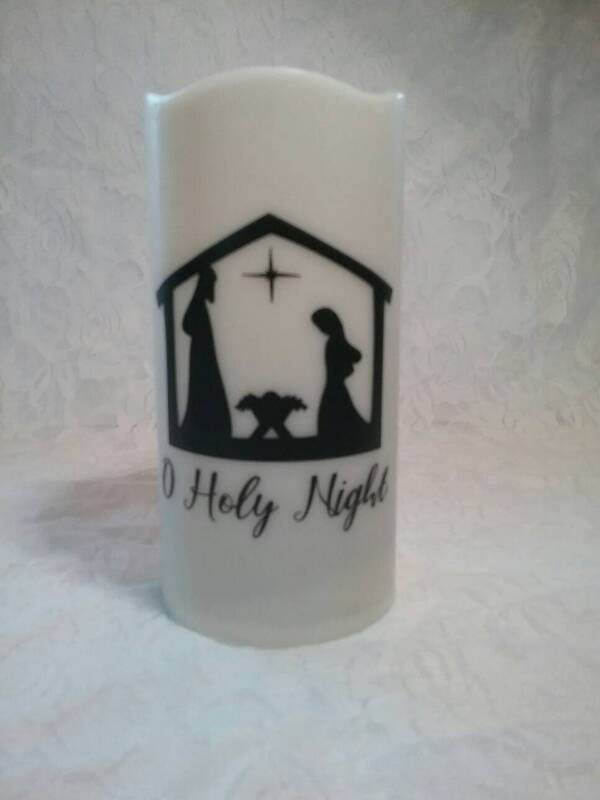 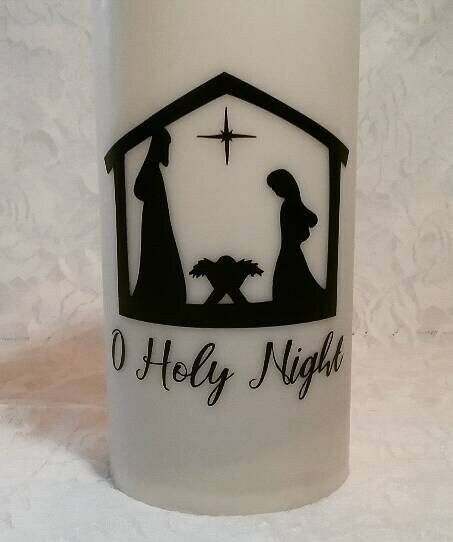 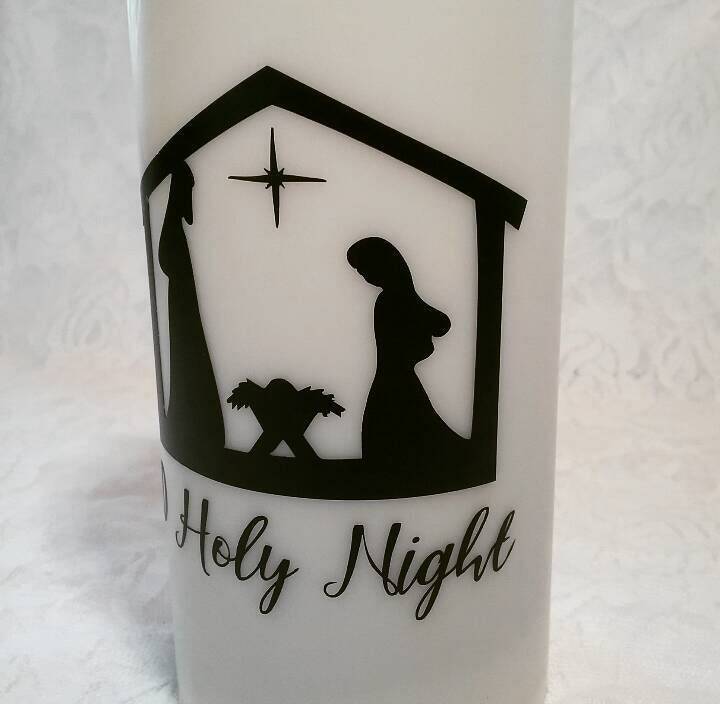 Oh Holy Night Manger Scene Candle is a perfect addition to any room; whether this is a Gift or just being used for Decoration for your home or office. 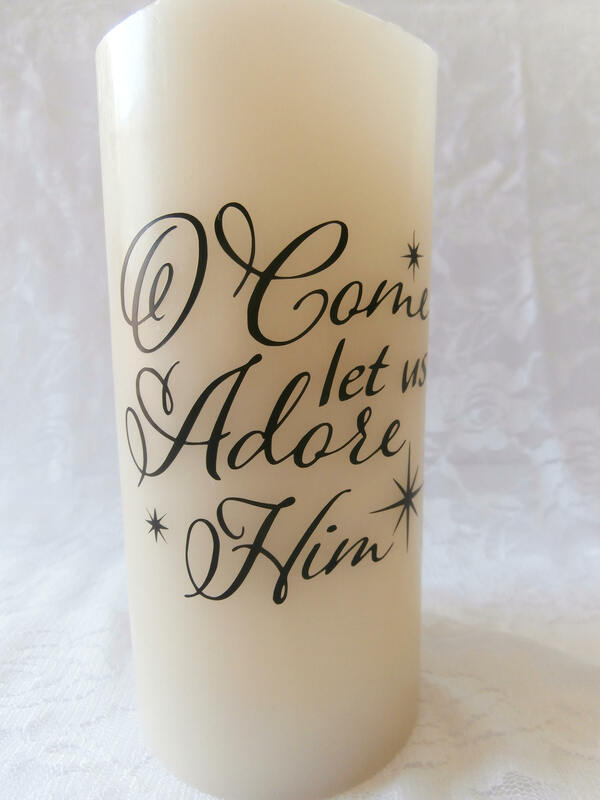 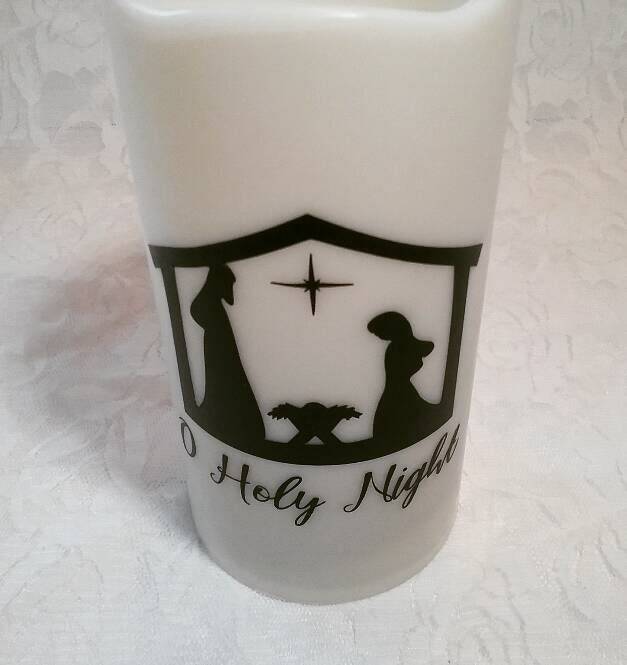 The imprint is "Oh Holy Night" with manger scene on a Decorative 6 inch Flameless Candle. 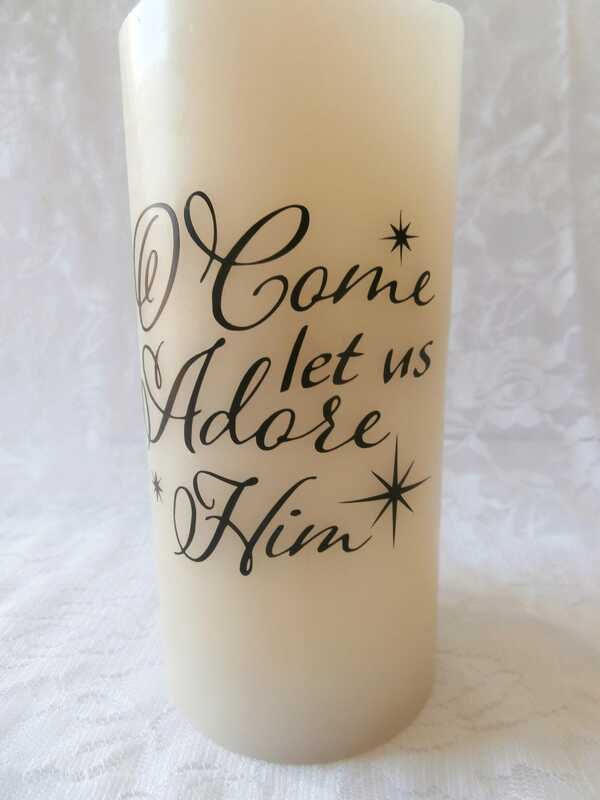 These decorative candles allow your personality to show throughout your home or office, with a positive message on them.